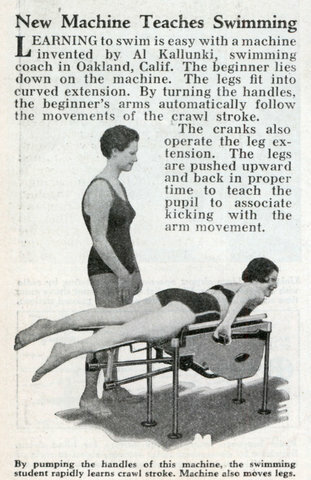 LEARNING to swim is easy with a machine invented by Al Kallunki, swimming coach in Oakland, Calif. The beginner lies down on the machine. The legs fit into curved extension. By turning the handles, the beginner’s arms automatically follow the movements of the crawl stroke. The cranks also operate the leg extension. The legs are pushed upward and back in proper time to teach the pupil to associate kicking with the arm movement. He might have been on to something; Andrew Alvin “Al” Kallunki was a successful swimming coach in the Oakland area for over 40 years. He died in May 2002 at the age of 98.
toddler to ever appear in the newsreels doing stunts with her father in the water in between his meets. 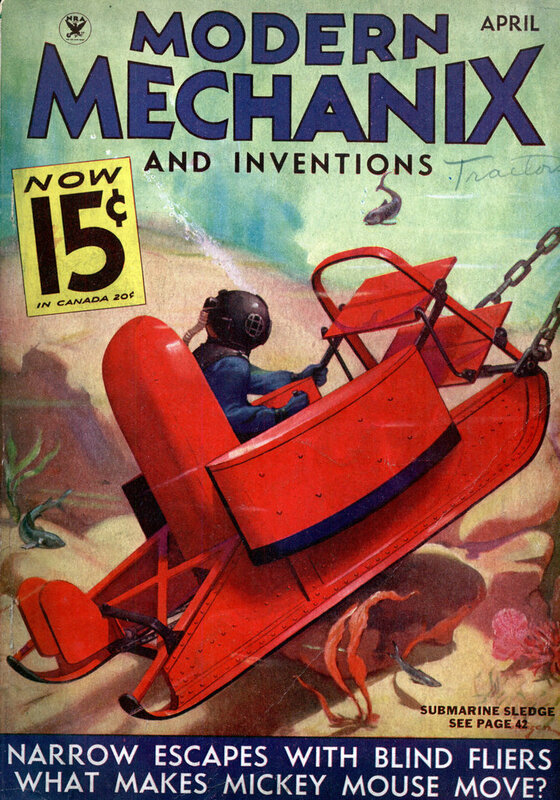 We mever knew until now that he invented this machine! how fun! Swimming is a lifelong sport and we still wear his gold medals at our safety seminars in honor of his lifelong love of swimming as a masters record holder as old as 96 years old! what a legacy he left us! We stillmiss him and his quick wit and great sense of humor! Between my Aunt Gay, Cousin Jackie, Aunt June, my mom Joanne(who taught at Aunt Gay’s sometimes) and Uncle Al, our family has done a lot to teach infants and young children how to swim and how to act around water. I am very proud of all of them.